With its red-brick Georgian buildings and various arched gateways, there is no arguing that the University of Maryland is built on a rich, deep history. Almost every notable site on campus lives with an equally notable past. 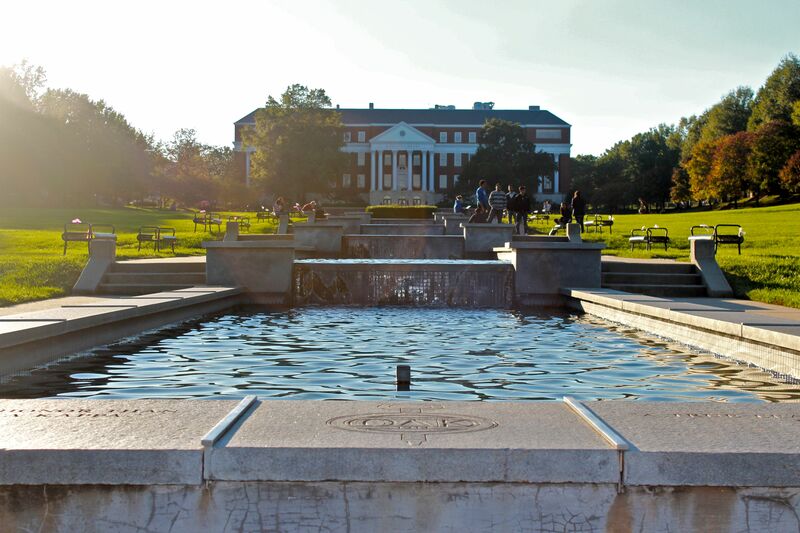 Hoards of students can be spotted in and around the Omicron Delta Kappa fountain on McKeldin Mall when winter melts away and temperatures soar to new highs in College Park. 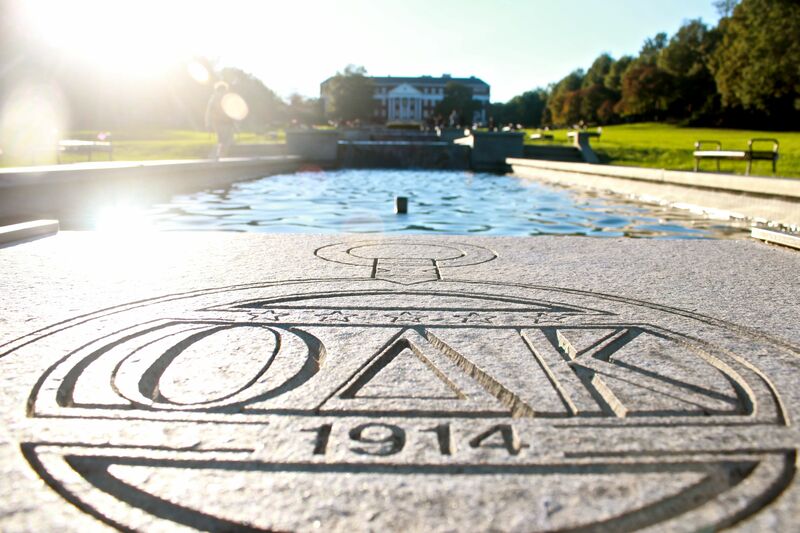 The five levels of cascading water represent the various leadership qualities the ODK honor society looks for in its members. The names of those students inducted into the society can be found inscribed on the fountain’s stones. Peering out over the ODK fountain and McKeldin Mall is the Terrapin Memorial, better known as the bronze Testudo sculpture. 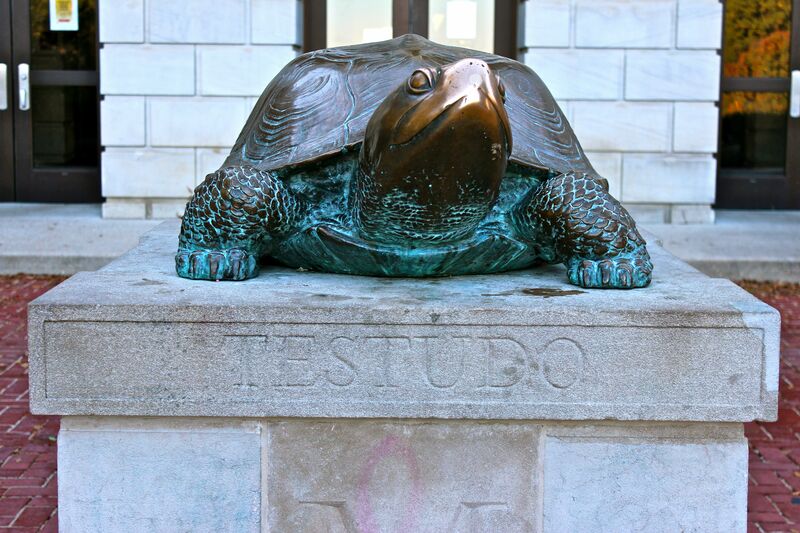 Following the initiation of Testudo as the university’s official mascot in 1932, the class of 1933 left statue with the school as a graduation gift by Ralph I. Williams’ suggestion, the then-president of the Student Government Association. To fund the building of the memorial, the class actually held its senior prom on campus instead of at a hotel in D.C. Additional grants were provided by the university student yearbook, Reveille, later renamed The Terrapin. After the memorial was cast by sculptor Aristide B. Cianfarini, the final product was unveiled to the public on May 23, 1933. Testudo was originally stationed in front of Ritchie Coliseum; however, following many instances of vandalism and kidnapping— President Harry Clifton “Curley” Byrd received a call in 1949 from a University of Virginia fraternity asking him to remove the bronze sculpture from their lawn— Testudo was filled with 700 pounds of cement and moved to his new home in front of Byrd Stadium. As the campus mascot grew into a representation of not only campus athletics but also the university as a whole, his bronze sculpture was moved to its final residence in front of McKeldin Library in 1983. The original bronze Testudo continues to stand poised and perched, watching over the campus as students drop by to leave an offering of a half-eaten diner sandwich or a full-sized car tire before a final exam. 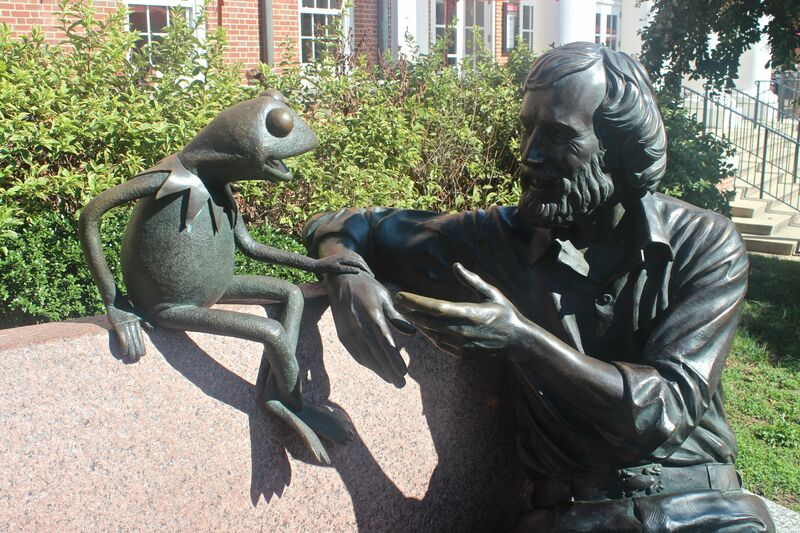 On the outskirts of the mall, in front of Stamp Student Union, sits a bronze statue of famed university alumnus Jim Henson, creator of the Muppets, with his most famous creation, Kermit the Frog. The statue’s origins date back to 2000, when sculptors began submitting ideas for the commemorative decoration. Maryland sculptor Jay Hall Carpenter was ultimately chosen to bring the memorial to life. The class of 1998 originally donated to the $217,000 project, with the classes of 1994 and 1999 supplying additional funds. The remaining 80 percent of funds was taken care of by the university and Stamp Student Union. The 450-pound statue was unveiled to the public on Sept. 24, 2003 during a commemoration ceremony.